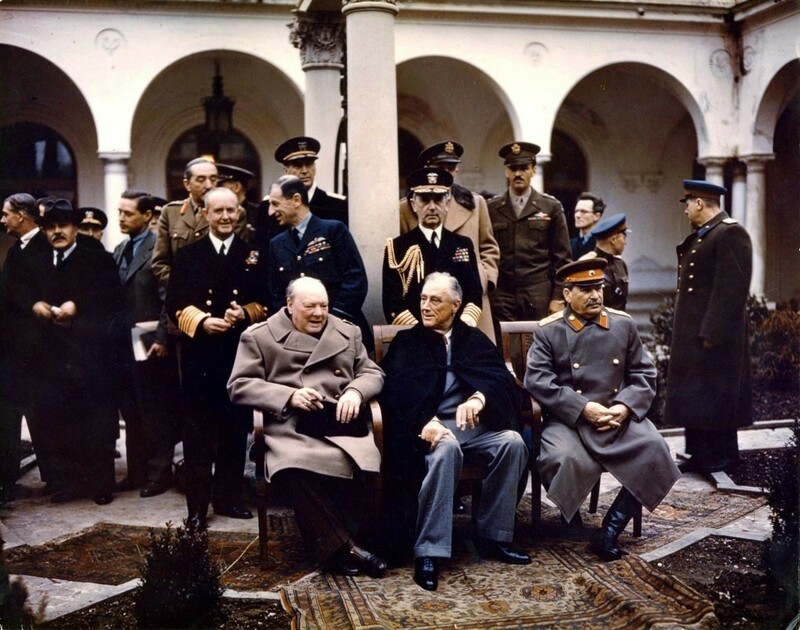 The mood at Yalta was good; the Russians were happy that the Americans had opened up a second front in the West, and it was clear that the Nazis were being swept away. Japan was still a problem though. As they discussed what to do, several agreements were made. 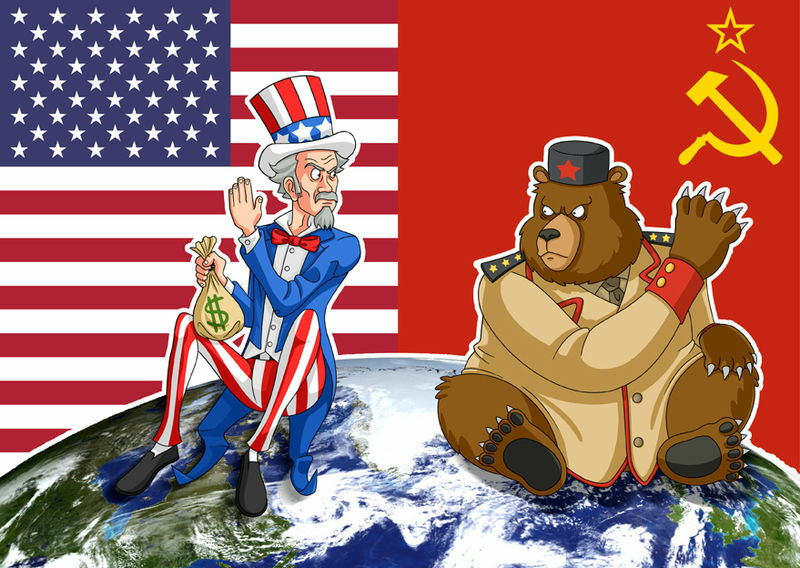 Russia would give the US a helping hand and join the war in Japan (in return for 'influence' on their Asian borders). Germany would have to suffer the humiliation of total surrender, and would be divided into four zones according to where the different allied troops were. Berlin would suffer the same fate. All Nazi-controlled states would get free elections, though Stalin would be allowed some influence in Eastern Europe; the Russians had - after all - lost 20 million men. A "Committee on Dismemberment of Germany" would decide whether to split Germany into 6 nations. They was disagreement on Poland though. Stalin wanted to move his border into Poland. Churchill and Roosevelt disagreed but came to an understanding that he could do this, so long as he didn’t interfere in Greece. The atmomic bomb - The USA had not told the USSR about its development and use at Hiroshima and Nagasaki; Stalin was worried they would be turned on him. The situation in eastern Europe - Stalin, though promising to honour self independence at Yalta, had left 3m men in eastern Europe and was in no rush for them to leave. Communist officials - some trained in Russia like the German Walter Ulbricht - were also appearing in these countries, which went against the idea of free elections. The 4 D's - They did agree to denazify. demilitarize, democratize and decentralise Germany though. The 4 zones would stay (decentralization) whilst denazification took place thorugh the Nuremberg trials (where top Nazis were judged and sentenced) and the banning of the Nazi Party and other extremist parties. What was the Iron Curtain? This was the name that Churchill gave in a famous speech in March 1946 in Fulton, Missouri (USA) to the way Stalin had gained pro-USSR, Communist governments in Poland, Hungary, Romania, Bulgaria and Albania. The border between these eastern countries and the western countries was now known as the Iron Curtain. It symbolized the secrecy and division between communism and capitalism and is seen as a definite marker that the Cold War had begun and was acknowledged. How did Stalin gain control of eastern Europe? Bulgaria – a left-wing coalition won elections in 1945. The Communist members then executed the members who were not communist! 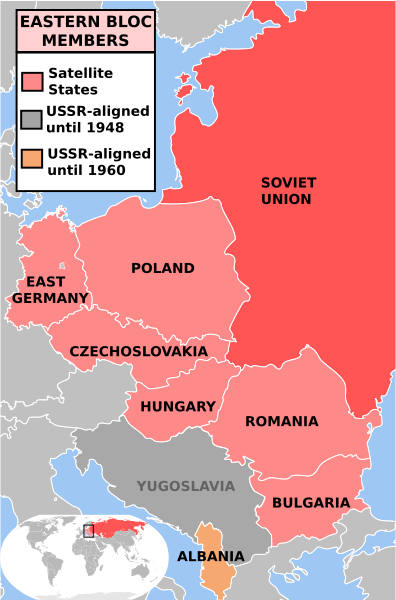 Czechoslovakia – In 1946 Communists were the largest party. By 1948 they felt threatened so expelled all other parties in the coalition government. Were forced to reject Marshall Aid. Poland – After the war the Communists formed a coalition government. By 1947 they had forced the other parties out. Yugoslavia – Marshall Tito had been resisting the Nazis throughout the war. Though he was Communist he had his own style, making Stalin annoyed! After Germans left Greece there were two rival groups left: the Monarchists and Communists. Greece was seen as a backdoor to western Europe and the home of democracy. 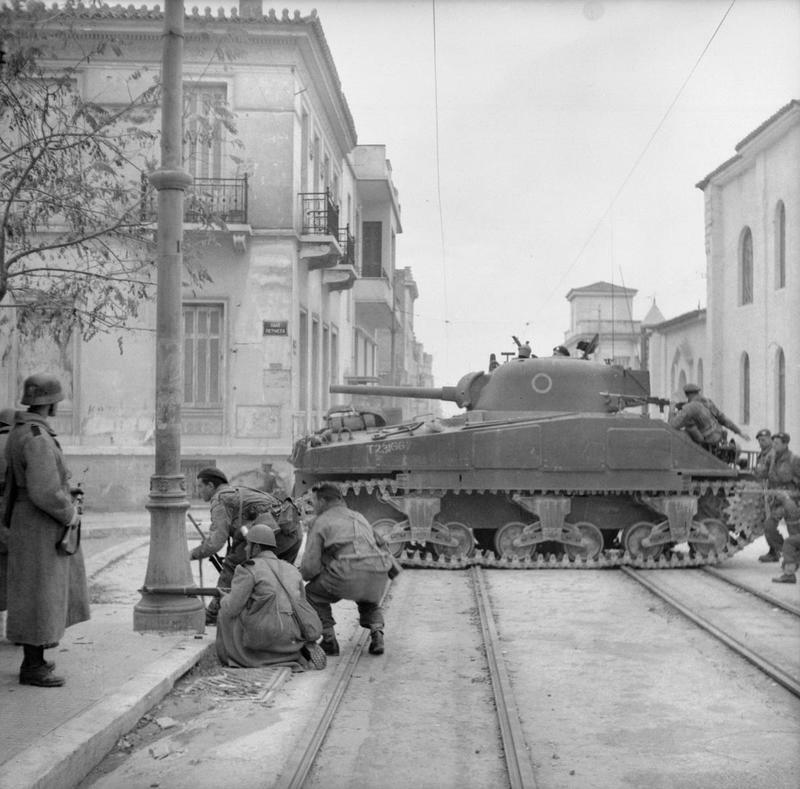 As a result, Churchill sent troops to Greece in 1945, under the pretence of maintaining order, but in reality to help the Monarchists. 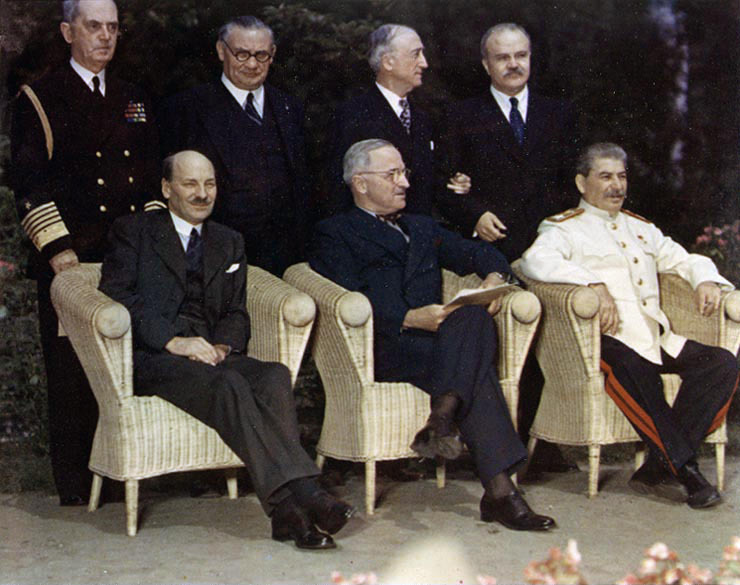 The USSR appealed to the new United Nations but it did nothing as the United States had a veto– Stalin therefore paid for the Communists in Greece to keep fighting. It was now a proxy Civil War, backed by two different sides. The British could not afford to spend more money on war, so declared they were leaving Greece. Fearing the spread of Communism, the Americans stepped in and paid for the British to stay. The US was now fighting the USSR through the UK and Greece! In the end the monarchists won, but were always very weak. Greece showed the world that America was no longer isolationist but interventionist. Powercuts were a regular occurance and people still used ration coupons, especially due to harsh winter of 1946-7. Industrial production was half prewar levels. 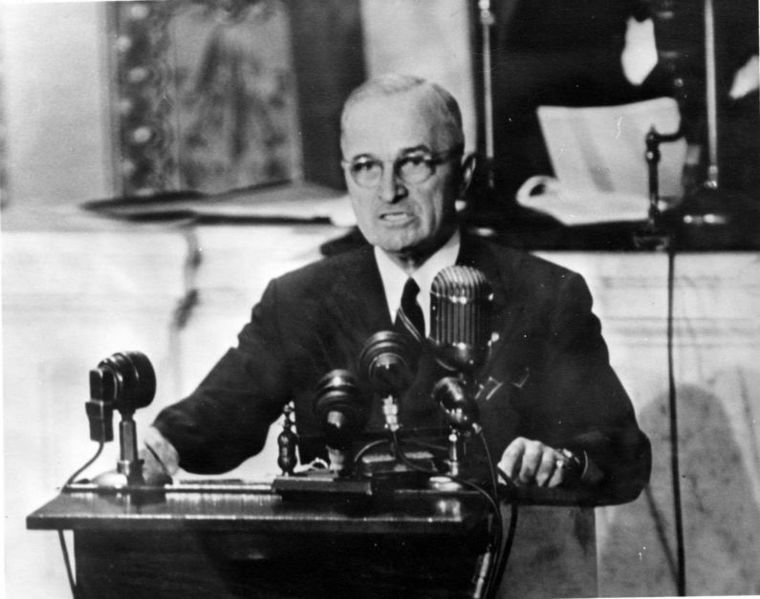 Marshall therefore suggested the Marshall Plan (or the European Recovery Program). It claimed that about $17billion would be needed to rebuild Europe’s economy. Initially the US Congress rejected this idea and the amount of money. However, after the incident in Czechoslovakia, it made it available over 4 years. (In Czechoslovakia a coalition government was in power until it tried pursuing anti-Stalin policies. The Communists came down hard and purged the government of all non-communists. One pro-American leader Jan Masaryk was found dead under his window. USSR said he jumped). Greece and Turkey were first to receive aid. The USSR rejected Marshall Aid entirely and responded by setting up Comminform (1947); a political equivalent to Marshall Aid and Comecon (1949); an economic union to co-ordinate economies. These gave him even more power in E.Europe. What was the Berlin Blockade, 1948? Roads and railways were closed. Stalin hoped to swallow Berlin into his section. They had 3 choices: invade, accept or defy. They decided to defy the ban by flying aircraft to supply Trizonia with food and fuel. This became known as the Berlin Airlift. On average, a plane left every 90 seconds to keep it up — 200 000 in total. The USSR lifted the ban in 1949, but 2 new countries were now created. Why did the Soviet Union blockade Berlin? The USSR’s sector of Berlin was embarrassing compared to the West’s. Communism was clearly inferior to the capitalism of the East and it was becoming a chink in Stalin’s iron curtain. 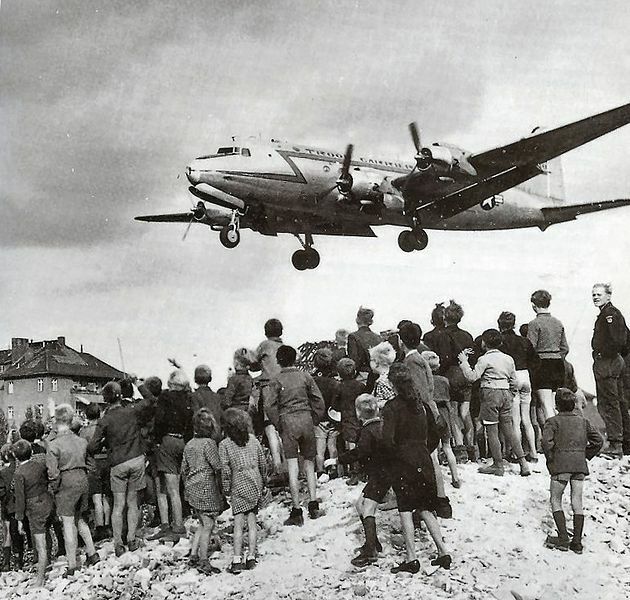 What were the consequences of the Berlin Blockade, 1948? 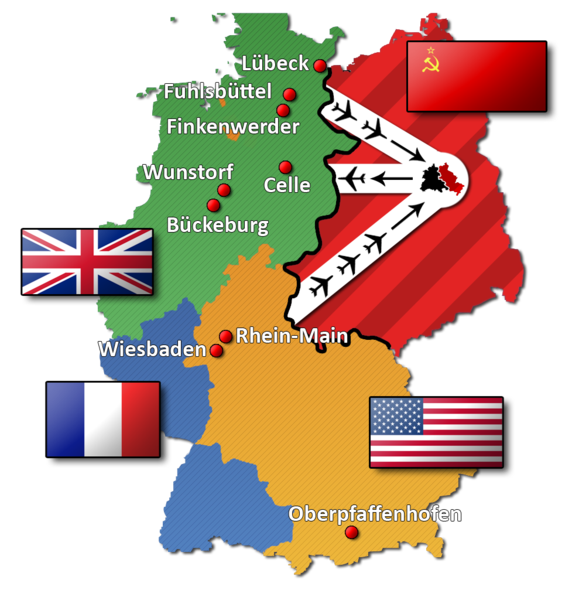 Improvement in West German-US relationships — the Nazi era was put behind them as a common enemy—USSR was now the focus. 4. Who was more to blame for the start of the Cold War?